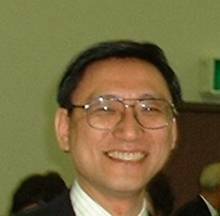 Tatsujiro Suzuki is Senior Research Scientist of Socio-economic Research Center at Central Research Institute of Electric Power Industry (CRIEPI), Japan, and now Visiting Professor of University of Tokyo, Graduate School of Public Poilcy from April 2006. He is also a part-time Senior Research Fellow at Institute of Energy Economics, Japan, since September 2003. Dr. Suzuki received his bachelor's degree in nuclear engineering in 1976 from University of Tokyo, and MS degree in Technology and Policy in 1979 from MIT. He earned his Doctorate in Engineering from University of Tokyo in 1988.